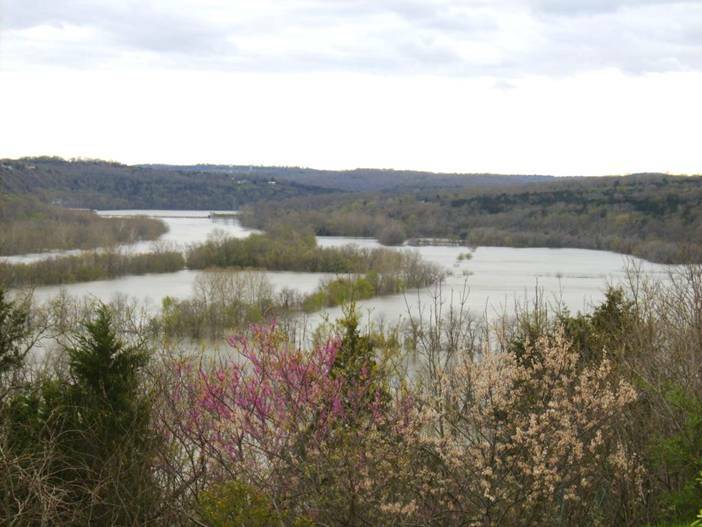 This picture of Bull Shoals was taken from Forsyth, Mo looking up the lake’s headwaters toward Taneycomo/Powersite Dam, which is just barely visible. 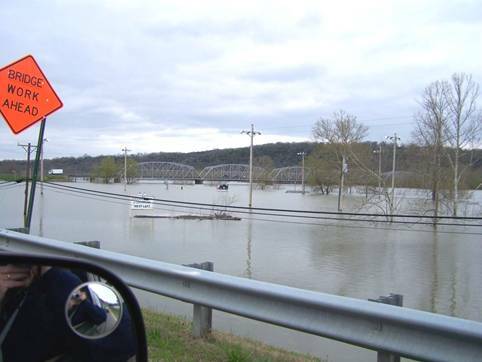 The headwaters of Bull Shoals is normally a narrow channel maybe 150 yards wide. The original narrow channel can be seen in the upper left side of the picture. Bull Shoals is sometimes referred to as the holding lake of the White River system. As it fills to capacity it spreads out covering a tremendous area. The lake in this picture is almost at capacity (695 feet above sea level) and is now approximately 1 mile wide. The picture above is the Fairground at Shadow Rock Park. It is hard to imagine, but several buildings are completely submerged including the large pavilion. Bull Shoals is also controlled by the Corp of Engineers. 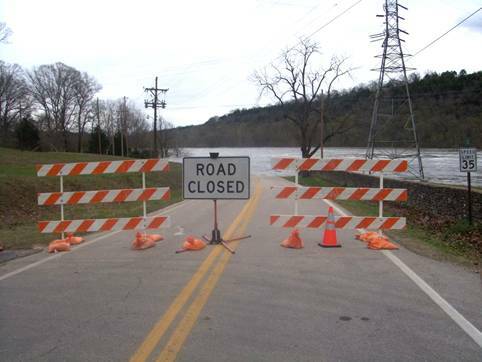 No residential or private construction is allowed to be built below the flood plain, However, the Corp does allow the use of the Government land for some limited public use. In this case, the fairgrounds, baseball field, tennis courts and a fantastic park. Pretty Neat! Special thanks to Marty Beaugard (outlaw) for her contribution of pictures to this site!